Ahmedabad is one of the world’s fastest-growing cities and encapsulates the thriving economy of Gujarat in its ever-changing landscape. Whether one is on a leisure trip or a business stop here, there are many things to experience in the city. Traveling around Ahmedabad using public transport may not guarantee the most comfortable rides and chauffeured taxis is inconsistent and expensive, especially during rush hours. Ahmedabad with its myriad landmarks and sprawling neighborhoods is a place that is best enjoyed by driving around. More and more travelers and commuters are choosing a self-drive taxi service in Ahmedabad to have a better experience and save time. Over the years the Sabarmati, the river that divides Ahmedabad into two, has had a very aesthetic makeover and the riverfront area is a favorite haunt for locals and tourists alike. The walled city quarters of Ahmedabad are considered a UNESCO World Heritage site. Highlights include the massive gates and the Bhadra Fort. Sabarmati Ashram is where Mahatma Gandhi spent many of his years. 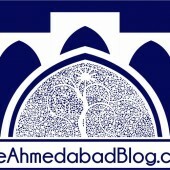 The serene Kankaria Lake and the adjoining zoo are also recommended places to visit in Ahmedabad. Some of the rare species found at the zoo include blackbucks, elephants, Bearcats and wild asses. Those who like design and architecture will find the Adalaj Stepwell very intriguing. This late 15th-century structure showcases the creativity and architectural mastery of the Solanki dynasties. The ornate pillars and carved walls are some of the main features of this five-level stepwell, which is located on the outskirts of the city. Jettisoning around the city is a much more convenient affair when done on one’s own terms. Self-drive cabs in Ahmedabad have many advantages over public transport and regular taxis. Complete privacy is guaranteed. Travelers can move around till late hours without a worry and jaunts to the outskirts are also possible with a car at one’s disposal all the time. Despite providing all these extra assurances, a rental car is very affordable. Business travelers are also enjoying the advantage of having a car at their disposal at all times. They are able to cut down on transit time and stick to efficient schedules. Many travelers book rentals for entire trips and drop them off at the airport when they have to catch a flight back. Booking a self-drive cab is very easy. Companies like Zoomcar provide an app-based booking system where one can pick up a car at any city location. Ahmedabad is a booming city that has also managed to hold on to its immense heritage and diverse culture. Business and leisure travelers alike are discovering new facets of the town with the help of rental cars. Travel around Gujarat’s largest city in the best way possible – with total freedom and flexibility.